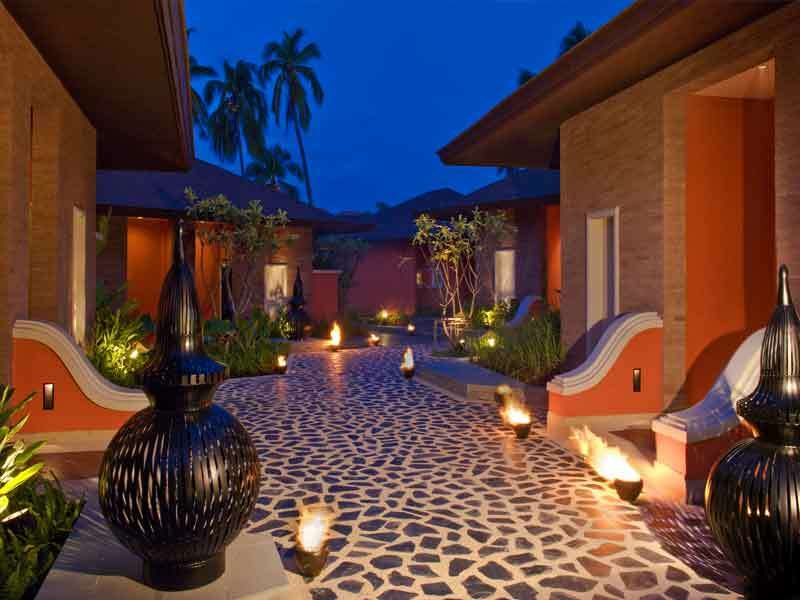 Experience true Thai hospitality when you stay at Pullman Phuket Resort Panwa Beach. 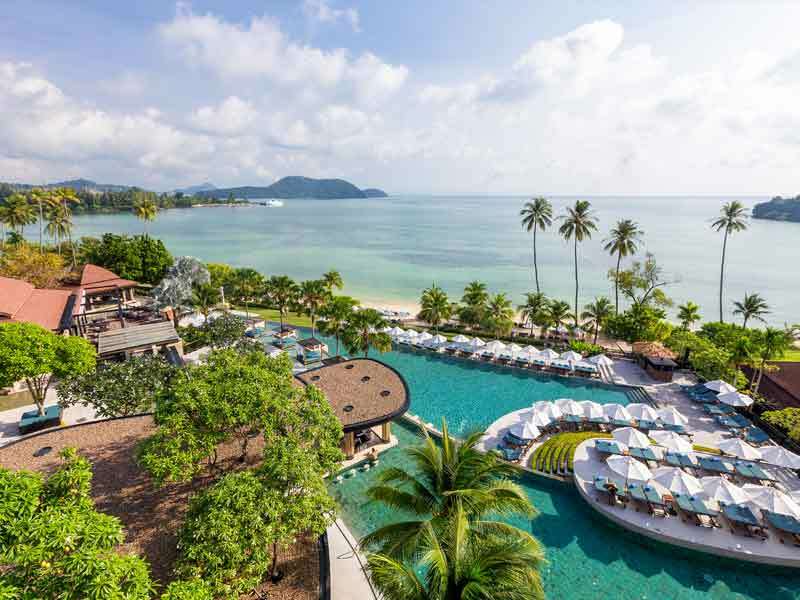 Located at the south-eastern tip of Phuket, on the shores of Panwa Beach and Makham Bay, this resort feels like a remote tropical retreat yet it’s only 15-minutes from the excitement of Phuket Town! 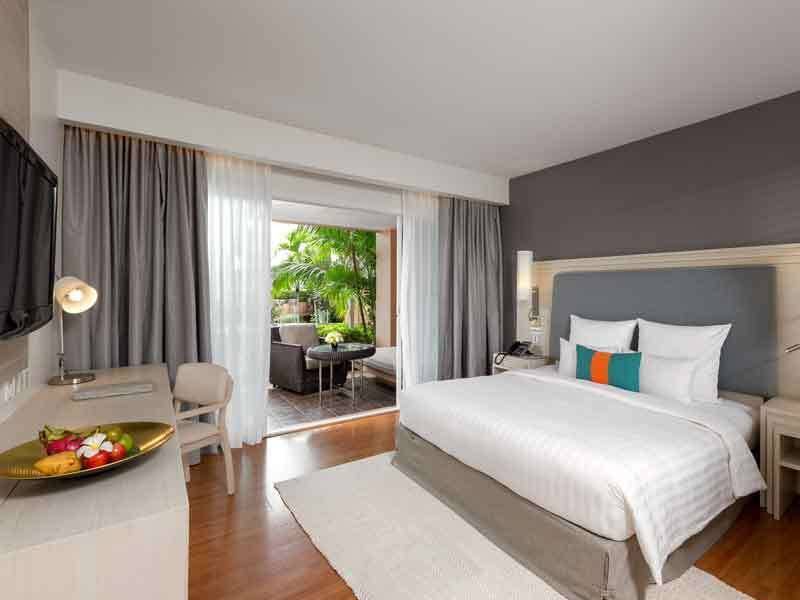 Combining contemporary style with Thai accents, there are 211 spacious rooms available at Pullman Phuket Resort. These comfortable and fully-equipped rooms are more than just somewhere to lay your head. They feature modern amenities such as a work desk, free Wi-Fi and a huge selection of movies, making them perfect for business travellers and leisure guests alike. 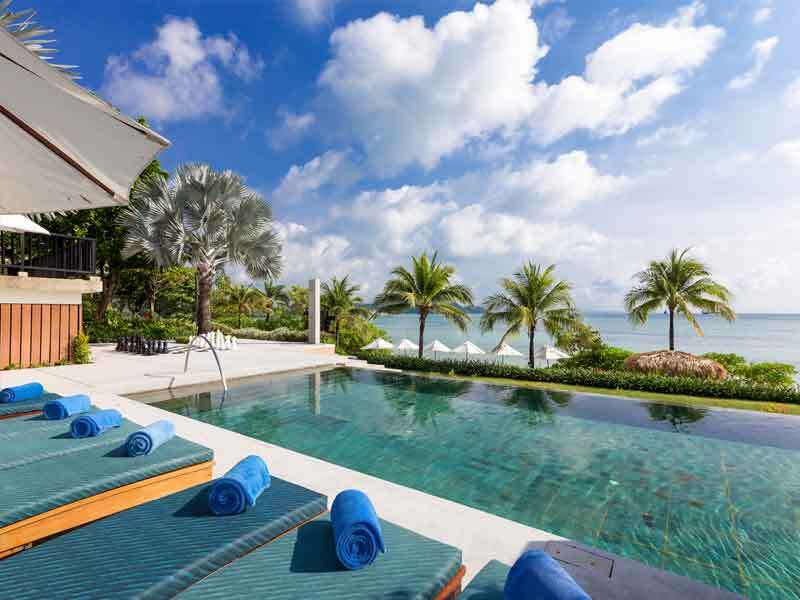 Pullman Phuket Resort is a haven for the water-lovers. There are 3 freeform pools around the resort as well as private beach access, perfect for a refreshing swim or lazing in the sun. The Talay Spa is the resort’s on-site day spa. Treat yourself to a relaxing and rejuvenating traditional Thai treatment. Wine and dine at Tamarind Restaurant for a taste of authentic Thai cuisine or try the Western and Asian inspired dishes at Aqua Restaurant. 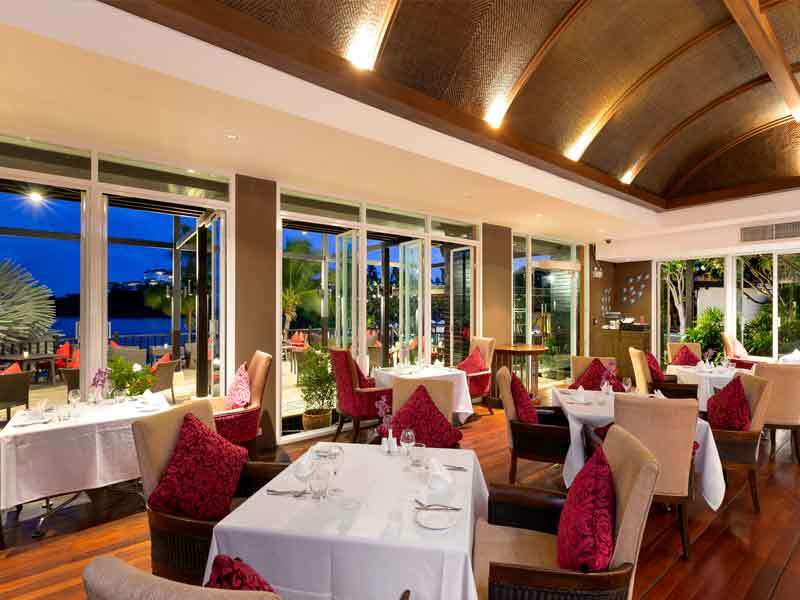 Why Go to Pullman Phuket Panwa Beach Resort? Situated on the water’s edge of Makham Bay with private beach access to Panwa Beach, Pullman Phuket Resort offers a tropical getaway with close access to the buzz in the city. Enjoy panoramic views from your spacious room; dine in an on-site restaurant; lounge on the private beach; stay connected with Wi-Fi throughout the resort; get pampered at the Talay Spa; keep your fitness routine on track at the Pullman Fit Lounge and indulge in a deep cleansing at the sauna. Venture away from the resort and visit some of Phuket’s greatest attractions like the Phuket Big Buddha and the Wat Chalong Temple in the west, or the busy Phuket Town and Dolphin Seaway Pier in the north. Spread across 50sq. metres, the Deluxe Rooms are built for comfort and ultimate luxury. End your day by taking in the revitalising sea breeze as you recline on your private terrace after a full day of exploring Phuket’s popular attractions. 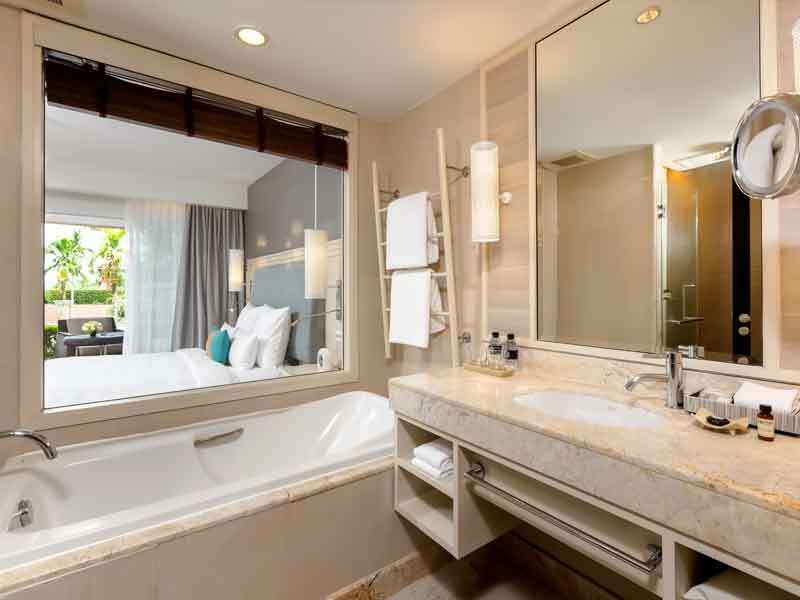 Enjoy the newly-polished wooden flooring and stylish rain shower – making for a tropic-style hotel room. Continue the relaxation as you soak in your grand tub or indulge in the wide selection of TV channels from your plush bedding. The Deluxe Room features high-speed Wi-Fi and minibar. Create lasting memories from your Deluxe Sea View Room at Pullman Phuket Resort Panwa Beach. Roll out of your luxurious bedding and gaze over the glittering waters from your secluded terrace. Complete with a workstation, freshly-polished wooden floors, a grand bathtub and rain shower, this room accommodates all. Enjoy a wide selection of TV channels, hi-quality Wi-Fi, minibar and more in this 50sq. metres of luxury! At a spacious 70sq. metres, the Junior Suite exudes relaxation. Unwind and breathe in the tropical air from your private terrace or recline indoors in your tranquil lounge area. The balcony is the perfect setting for a romantic dinner for 2 should you wish to remain in the comfort of your room. The Junior Suite features a working desk, polished wooden floors, plush bedding, a flat-screen TV, chic décor, Wi-Fi and much more. At a generous 115sq. metres, Pullman Phuket Resort Panwa Beach’s Deluxe Suite radiates serenity. Due to the carefully designed floorplan, this suite feels open and welcomes the outside in. Indulge in commanding Andaman Sea views from your private terrace or from the comfort of your luxury bedding. Complete with a flat-screen TV, separate sitting area, Wi-Fi, minibar and more, this suite impresses all. 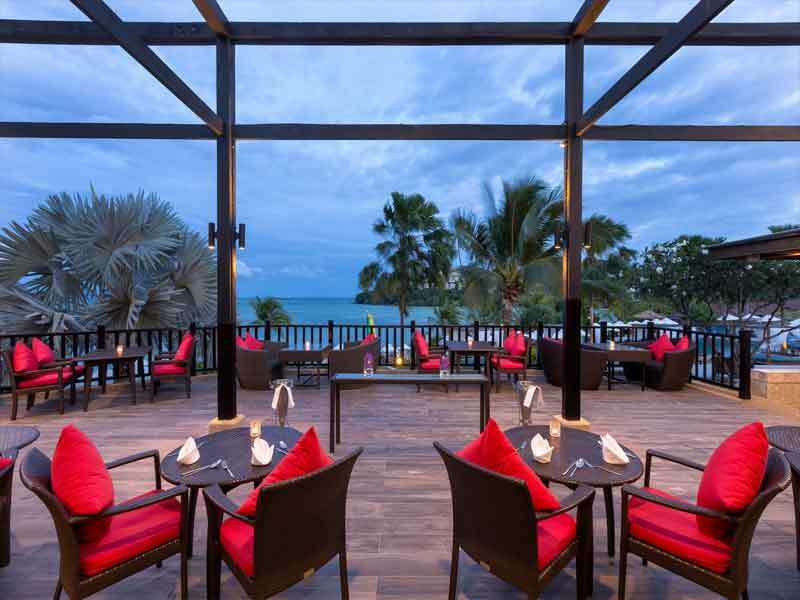 Approximately 1-hour from Phuket International Airport (accessible by shuttle), Pullman Phuket Resort Panwa Beach is set on the private shores of captivating Makham Bay. Although nestled away from the hustle and bustle, the resort is only 15-minutes from Phuket Town and its main attractions such as the vibrant markets and buzzing nightlife – get the best of both worlds! 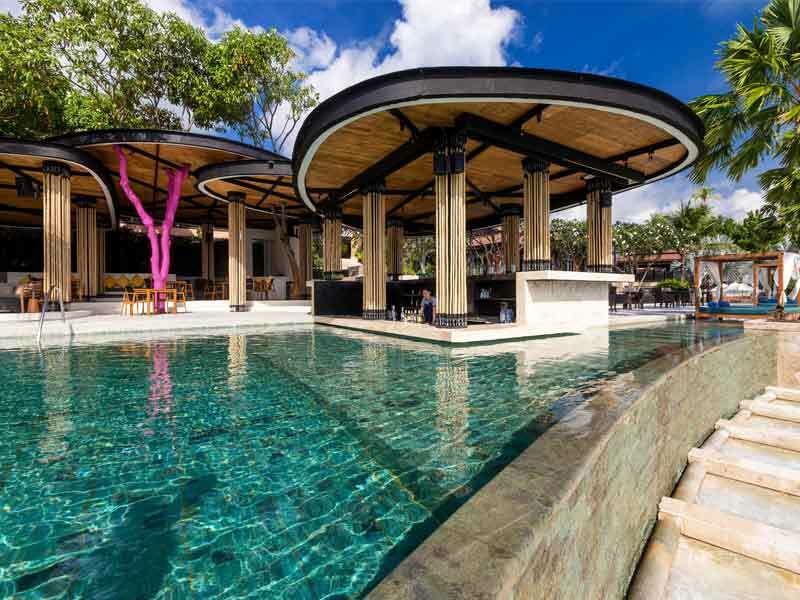 Whether you’re an ocean-lover or prefer to laze by 1 of the freeform pools, Pullman Phuket Resort Panwa Beach pleases romantic couples, adventurous families and everyone in between. Feeling active? Make the most of your stay at Pullman Phuket Resort Panwa Beach by playing giant chess, taking a yoga class, exploring the epic snorkelling reefs, kayaking and more! Later, winddown at the much-deserved wine tasting and free-flow beverage experience on-site. Venture beyond the resort precinct and you’ll stumble across booming markets, old shophouses, relaxing day spas and authentic Thai restaurants. Head to Patong for all the best nightclubs, bars and live entertainment! When in Phuket, you must uncover the elaborate jungle-covered mountains, immaculate beaches and the cleansing waters of the Andaman Sea! I stayed at Pullman Panwa Beach for 3 nights. The hotel’s staff and reception are very friendly and helpful. 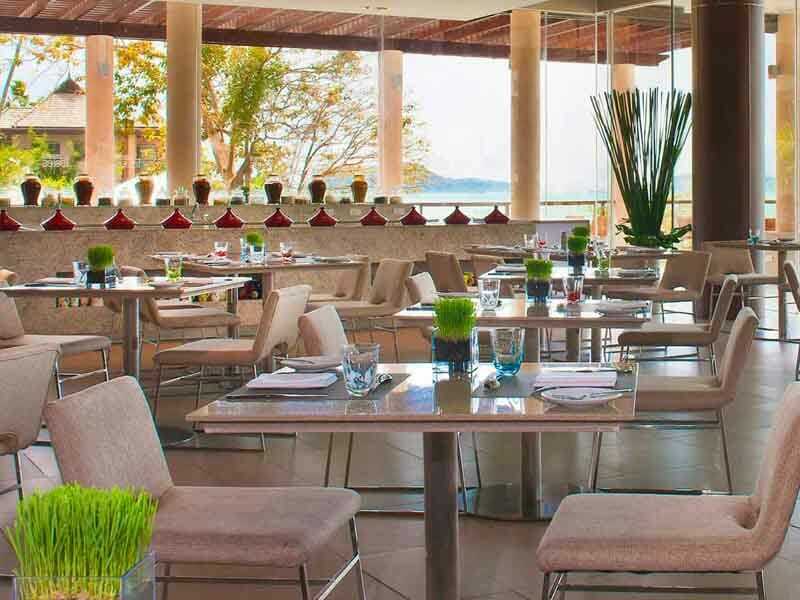 The food on-site is excellent and there are 2 big swimming pools with a private beach. The hotel provides free shuttles to Central Festival mall and Phuket Old Town. It’s such a peaceful place to stay and relax, and great value for money. Will be coming back again with my family!